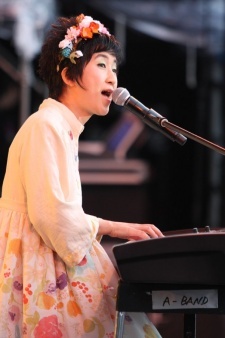 Masumi Itou, born May 21 in Ibaraki Prefecture, Japan, is a singer and composer. Ito has composed the soundtracks to many anime television shows and is part of the bands Oranges & Lemons and Heart of Air. She graduated from Musashino College of Music, and her husband is music producer Yoshiyuki Ito. She often composes soundtracks under the pseudonym Hikaru Nanase (七瀬光).